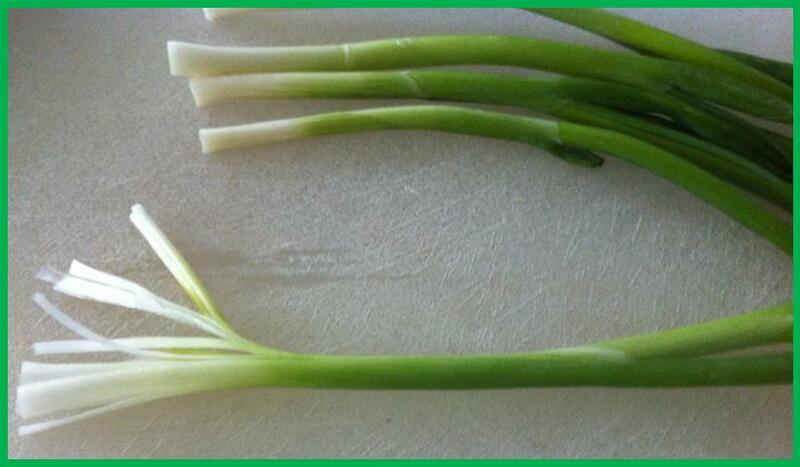 Green Onion Flowers are one of the easiest garnishes to make but add an elegantly whimsical touch to Vegetable Platters and Salads. 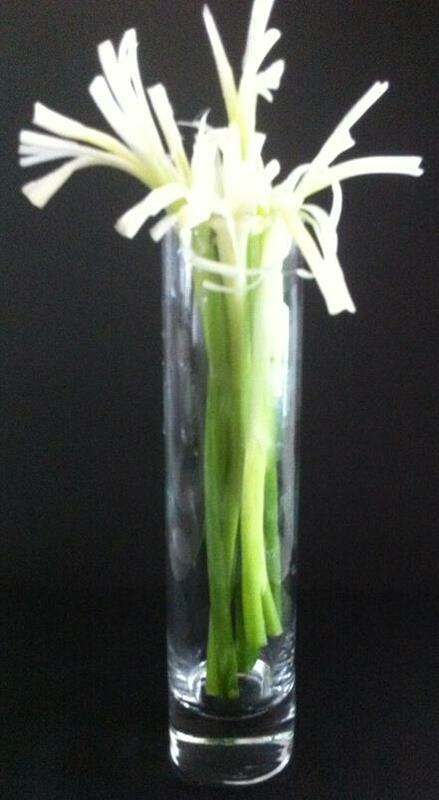 We think they would be lovely using a Bell Pepper for a vase as a table decoration. 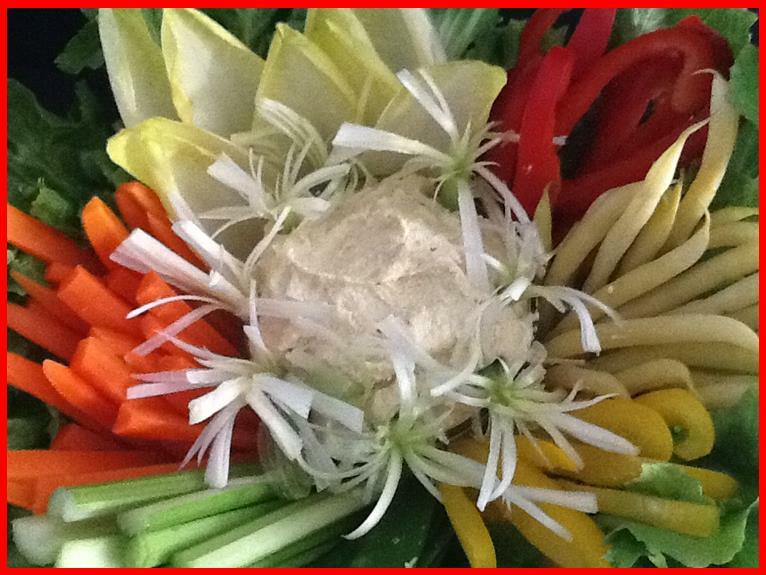 We pushed them around the edges of our Cashew Dip and as you can see in the picture they added such a delightful finishing touch to our Vegetable Bouquet Platter. Onion Flowers can be tucked almost anywhere - and are especially beautiful contrasting with the vibrancy of Tomato Roses. 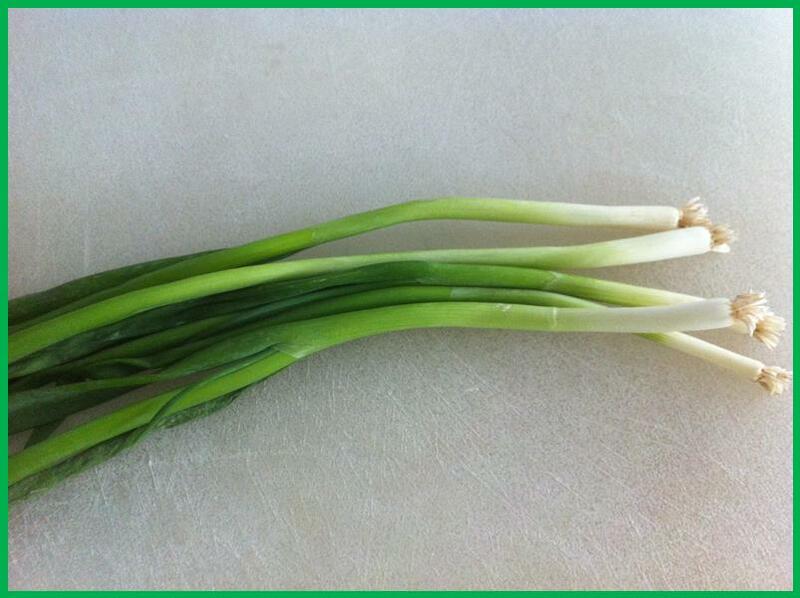 Try to select medium sized green onions. Too large and they overwhelm your design and too, too small and they are difficult to make enough slices to form a flower. The ones that we used in the pictures below were a little on the small side. It is always a good idea to use odd numbers in decorating. Select the number of onions you would like to make into flowers and then add a couple more (that way you can choose the ones that "flower the best"! Some fan out more beautifully than others depending on your "cuts". As always, wash them thoroughly and dry. With a very sharp paring knife cut the roots off of each onion. Leave yourself as much "white part" as you can. 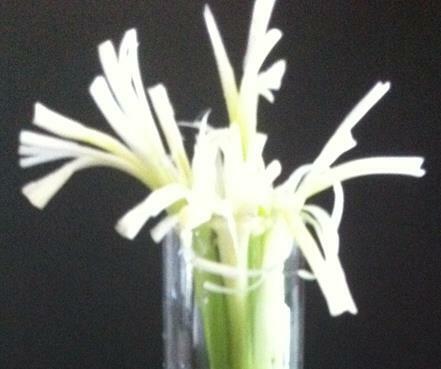 It is, of course, the white portion that forms the "bloom." 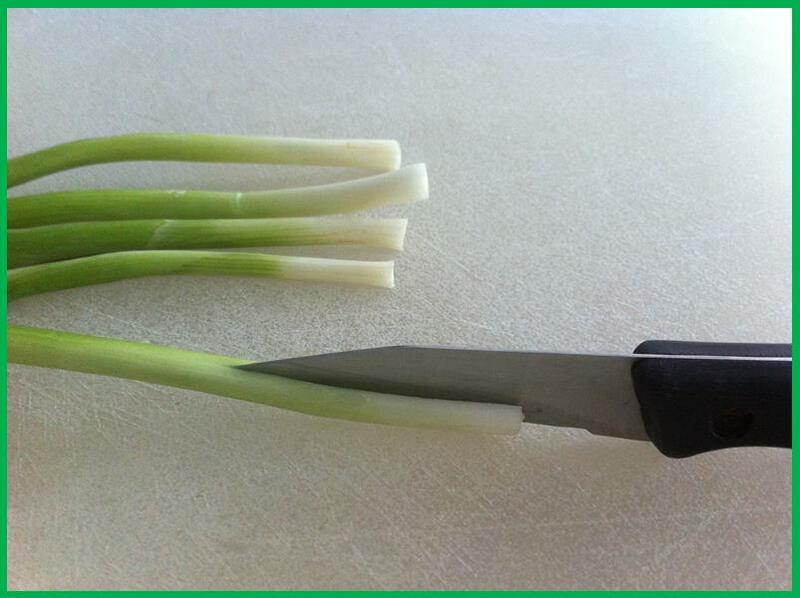 Now, place the tip of the knife barely into the light green part of the onion, and pull the knife through the white part in a firm smooth cut. 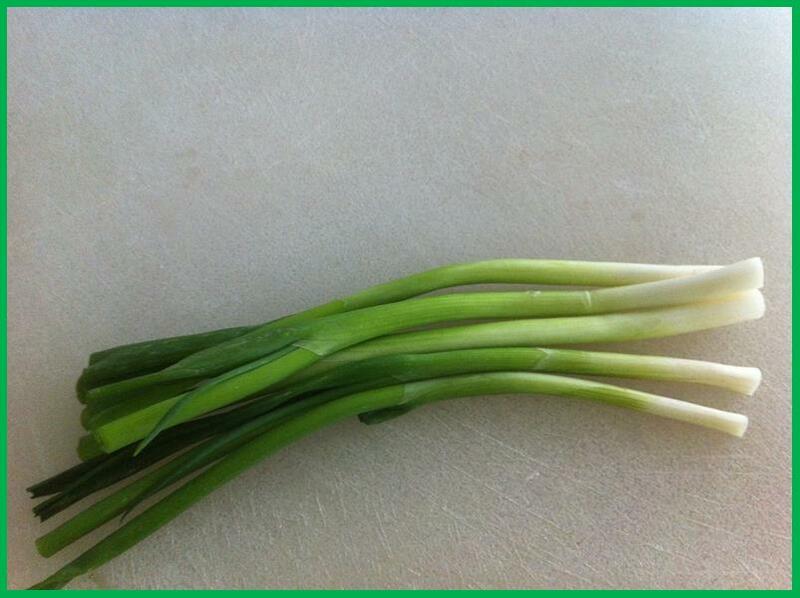 Continue making these slices around the onion, being careful to avoid cutting pieces off. A piece may fall off once in awhile; this usually does not make a big difference. They will look like this when you have gone all the way around. Do the same for all your "flowers." 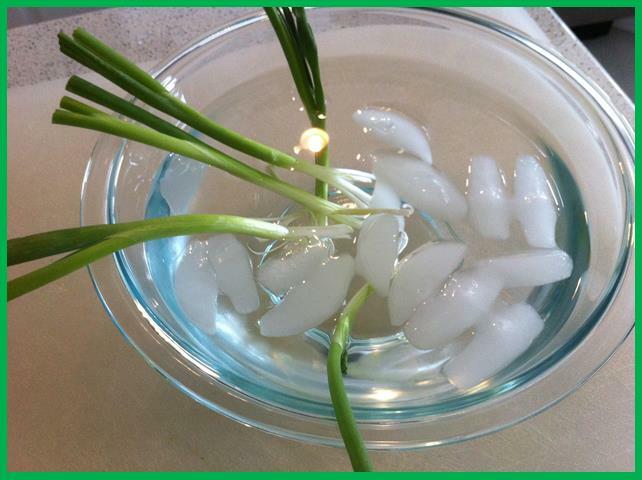 The last step is to put them bloom side down into a bowl of ice water. In about an hour they open up and if you leave them in a bit longer they sometimes curl charmingly. This is one of those efforts that seem a little daunting at first, but once you begin the cutting you will see just how very simple this is! 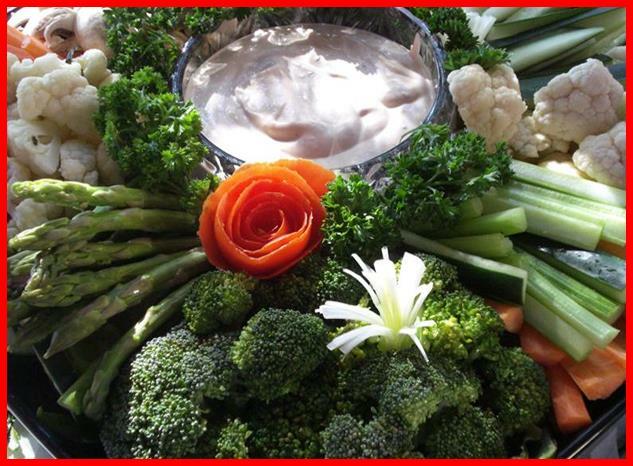 You Can be an Everyday Gourmet!